Apple just announced that it has sold more than 25 billion songs through iTunes. That's incredible. The 25 billionth song downloaded? Monkey Drums" by Chase Buch, Apple said, and the song was bought by a user in Germany. The user will receive a €10,000 iTunes gift card as part of the celebration. "We are grateful to our users whose passion for music over the past 10 years has made iTunes the number one music retailer in the world," Apple's senior vice president of Internet Software and Services Eddy Cue said. Cue also noted that Apple sells about 15,000 songs every minute. We have a feeling the 50 billionth download isn't too far off. CUPERTINO, California―February 6, 2013―Apple® today announced that music fans have purchased and downloaded more than 25 billion songs from the iTunes Store® (www.itunes.com), the world's most popular online music, TV and movie store. The 25 billionth song, "Monkey Drums" (Goksel Vancin Remix) by Chase Buch, was purchased by Phillip Lüpke from Germany. As the downloader of the 25 billionth song, Phillip will receive a €10,000 iTunes® Gift Card. "We are grateful to our users whose passion for music over the past 10 years has made iTunes the number one music retailer in the world," said Eddy Cue, Apple's senior vice president of Internet Software and Services. "Averaging over 15,000 songs downloaded per minute, the iTunes Store connects music fans with their favorite artists, including global sensations like Adele and Coldplay and new artists like The Lumineers, on a scale we never imagined possible." "In a lot of ways, iTunes has leveled the playing field for musicians. Whether you're unsigned, indie, major, whatever-it's the place most people go to buy digital music," said Wesley Schultz, guitarist and lead vocalist of The Lumineers. "iTunes doesn't exclude any musicians simply because they're not yet established or popular." 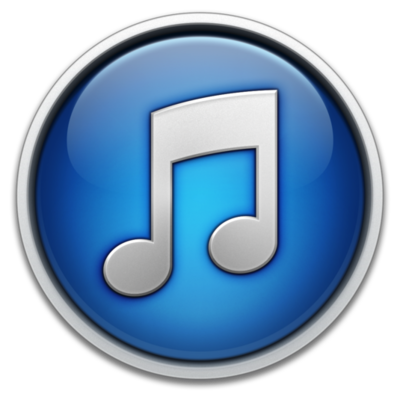 The iTunes Store is the world's most popular music store with a catalog of over 26 million songs and over 25 billion songs downloaded, and is available in 119 countries. The iTunes Store is the best way for iPhone®, iPad®, iPod®, Mac® and PC users to legally discover, purchase and download music online. All music on the iTunes Store comes in iTunes Plus®, Apple's DRM-free format with high-quality 256 kbps AAC encoding for audio virtually indistinguishable from the original recordings. iTunes in the Cloud lets you download your previously purchased iTunes music to your devices at no additional cost, and new music purchases can be downloaded automatically to your iOS devices.